Tradd Commercial is pleased to announce that Tara Alford has been named Controller. 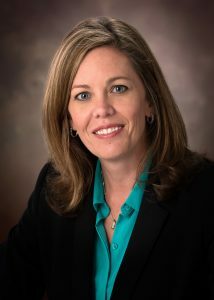 Tara Alford serves as Controller for Tradd Commercial. She oversees financial activity, procedures, and quality control for the properties under management. Tara utilizes a technology platform providing web based real-time data for our clients and also payment process efficiencies through multiple avenues including lock box, in-branch, and automatic drafts. Prior to joining Tradd, Tara worked 13 years in the finance department for a large corporate insurance company. She is a graduate of Coastal Carolina University with a Bachelor’s degree in Business Administration/Accounting, is a lifelong resident of the Murrells Inlet area, and is active in the community.